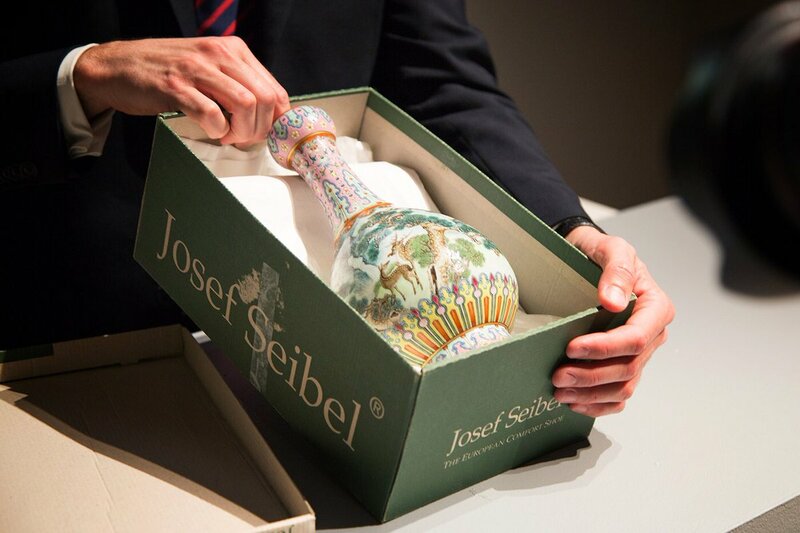 Check your attic – Vase found in attic sells for $19 million – T.D.G. Posted on June 12, 2018 June 12, 2018 by Tom G.
A rare Qing dynasty vase that was discovered in the attic of a French family home has sold at auction in Paris for €16.2 million, or about $19 million. That’s the absolute record for a piece sold at Sotheby’s Paris, and the record for a Chinese porcelain sale in France. The intricately decorated vase was hidden away in an old shoebox. After finding it, the owners took it to Sotheby’s Paris to be appraised, whereupon the auction house told them it dated from the 18th-century. They set an auction estimate of €500,000 to €700,000 (about $590,000 to $825,000), which was blown away by the sale.